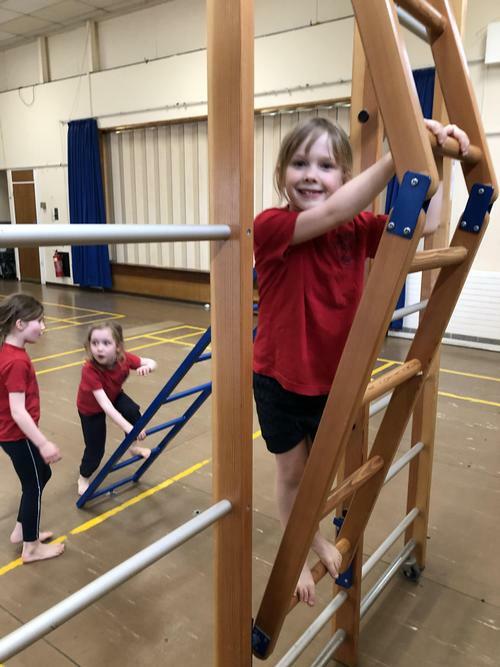 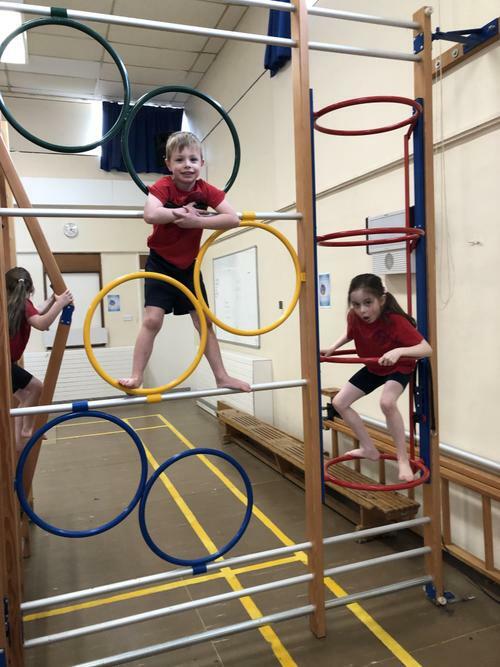 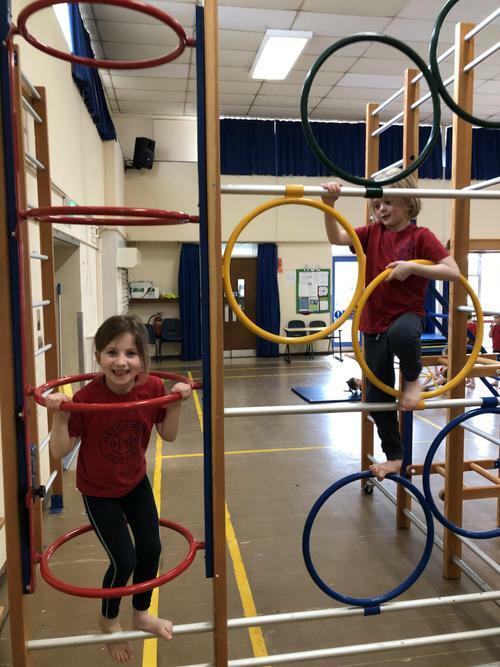 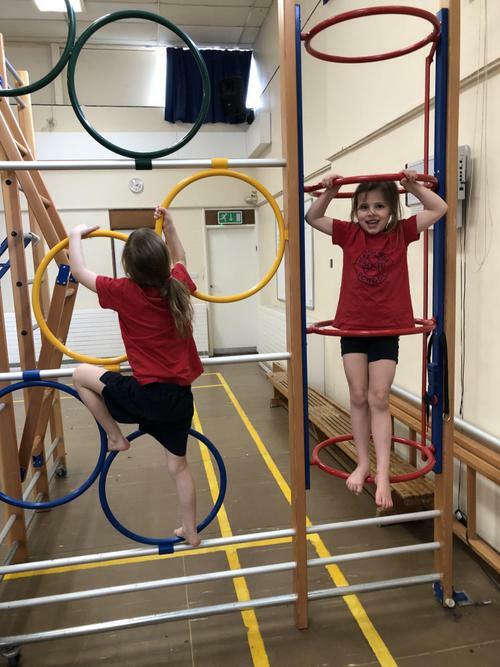 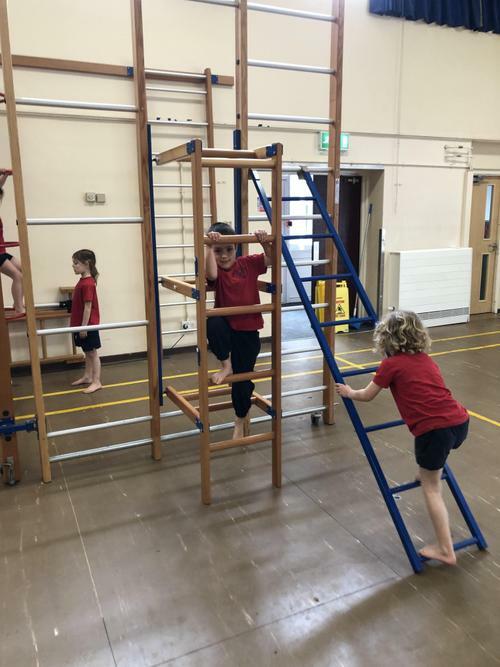 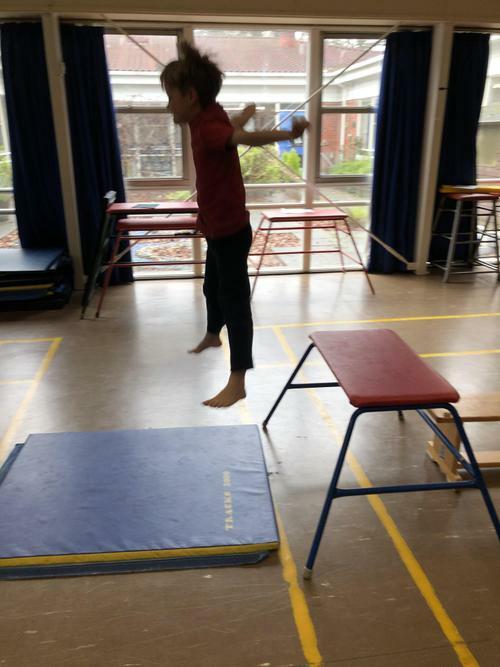 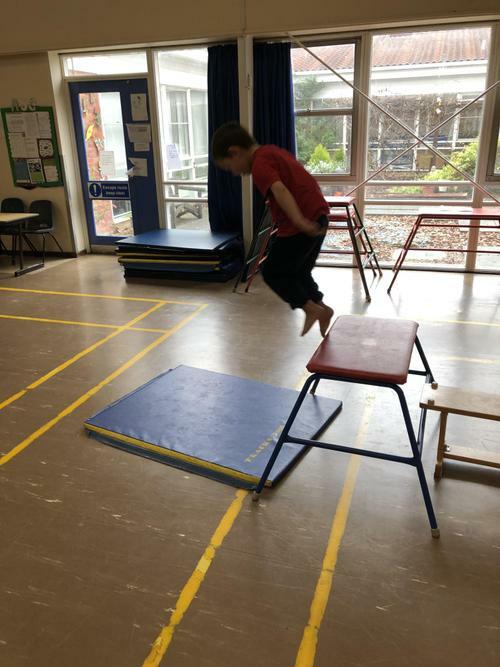 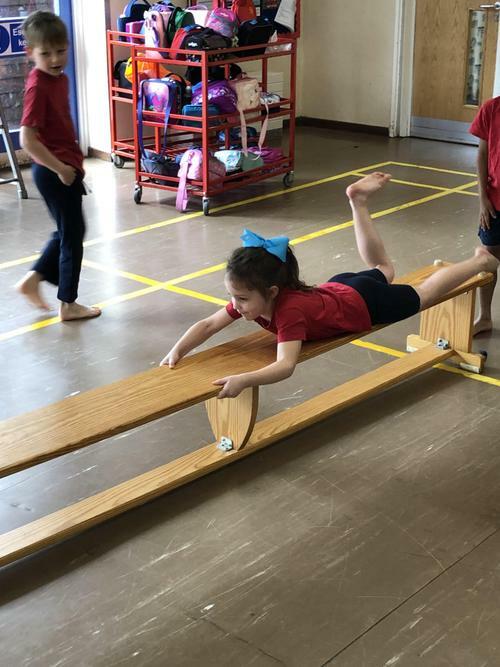 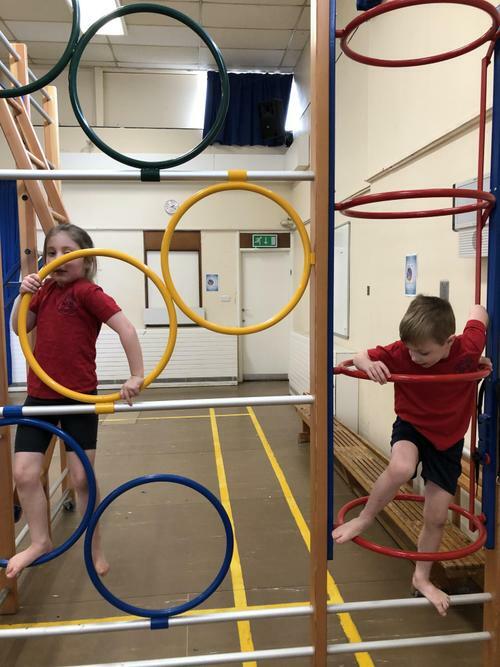 For Gymnastics today, we put out lots of different equipment including the big bars in the hall! 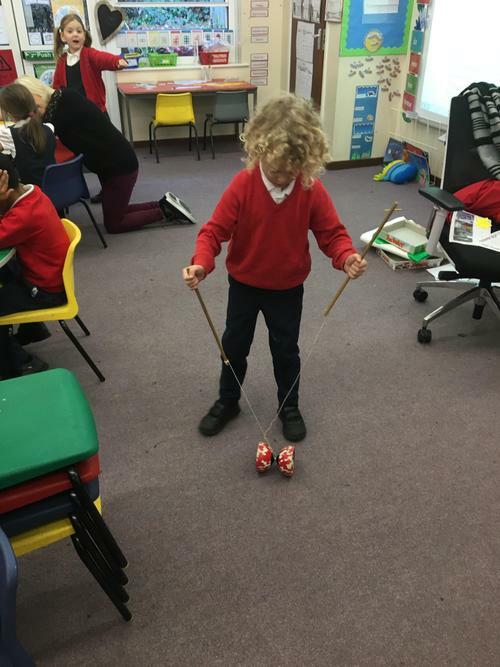 The children were very excited to use them and they were very creative in their movements and shapes when using it. 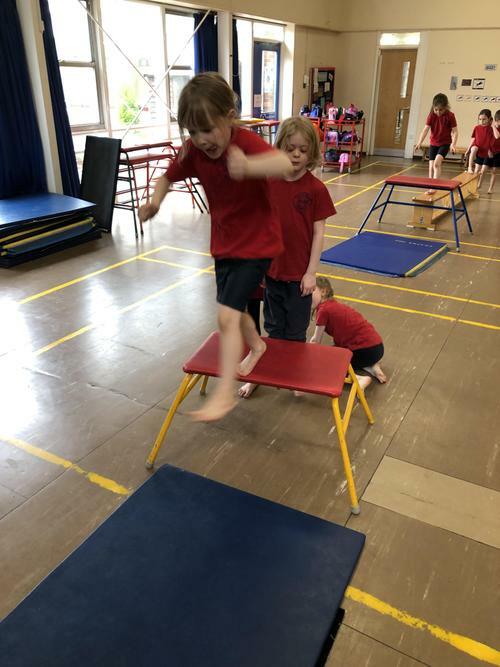 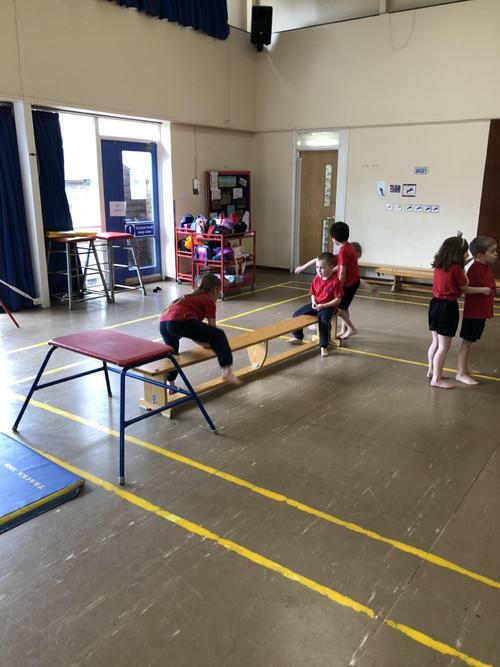 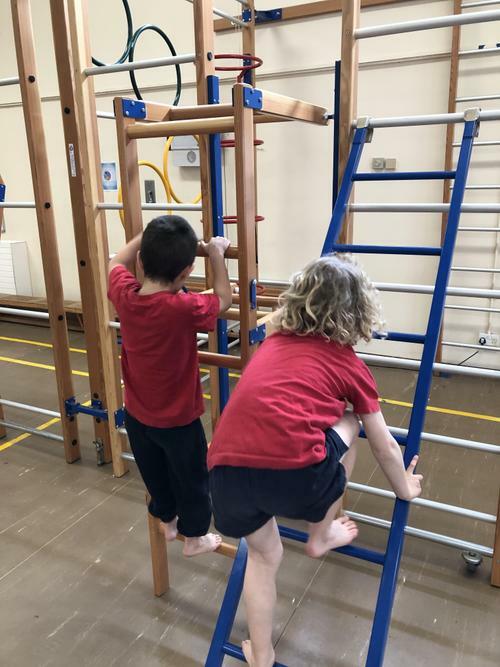 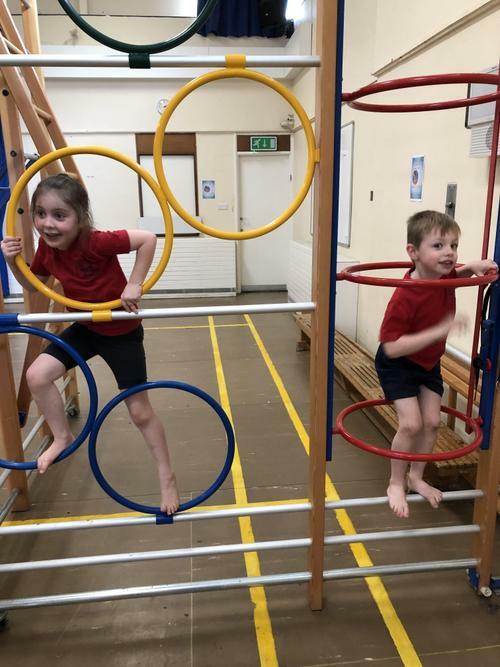 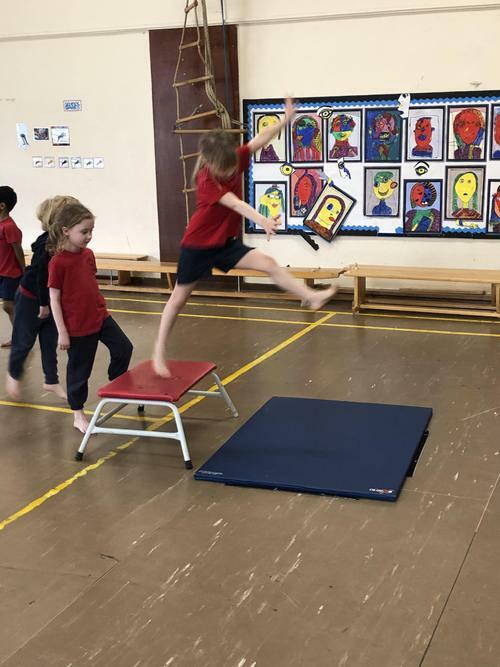 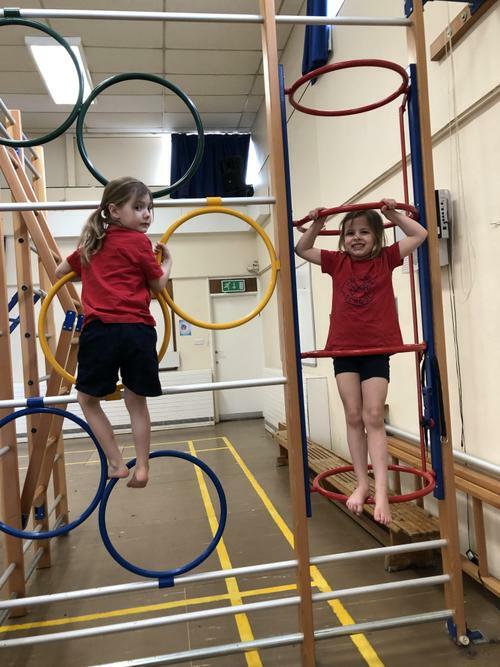 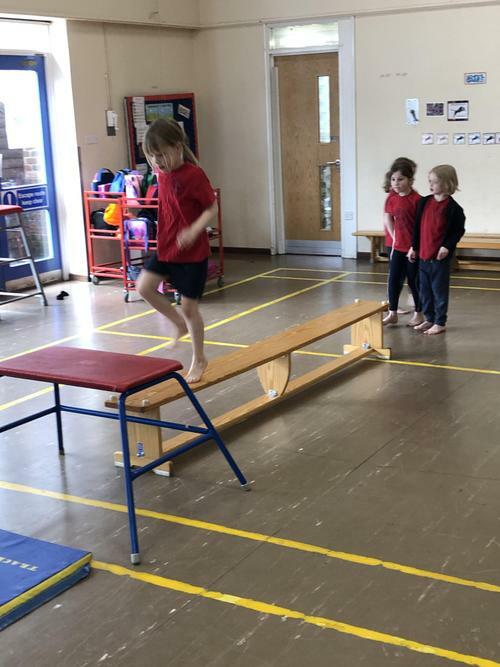 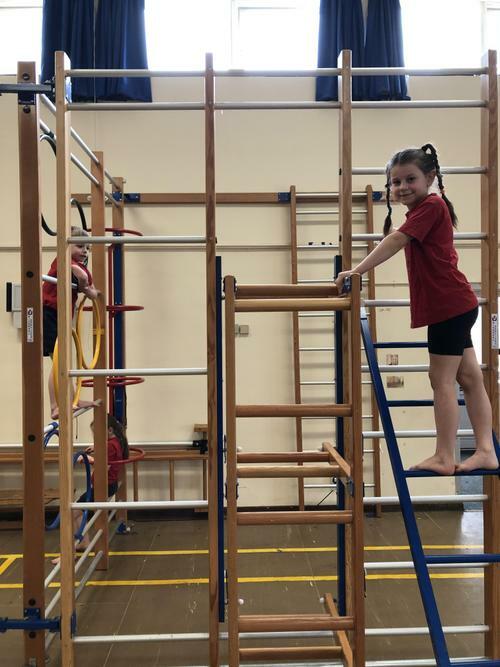 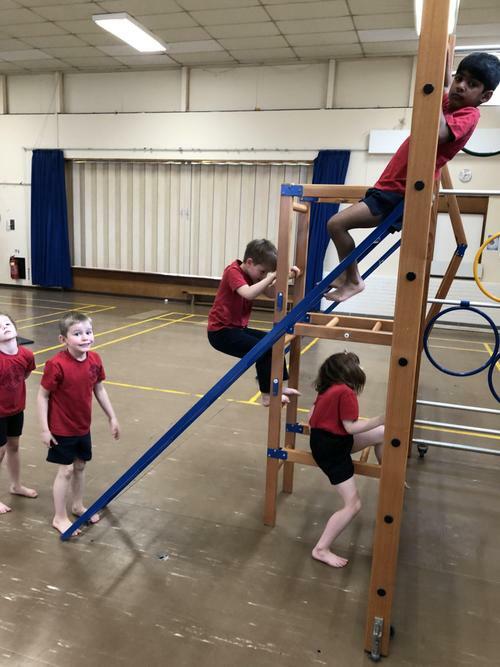 They have been practising moving over and under different equipment and thinking about changing directions when they are moving around. The Year 1 Beatles definitely have the X Factor! 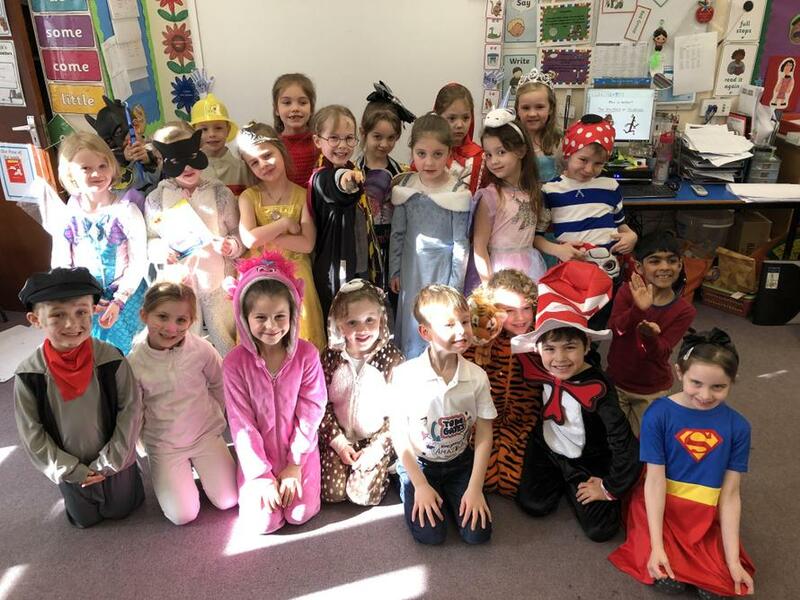 A massive well done to our fabulous performers for our class assembly. 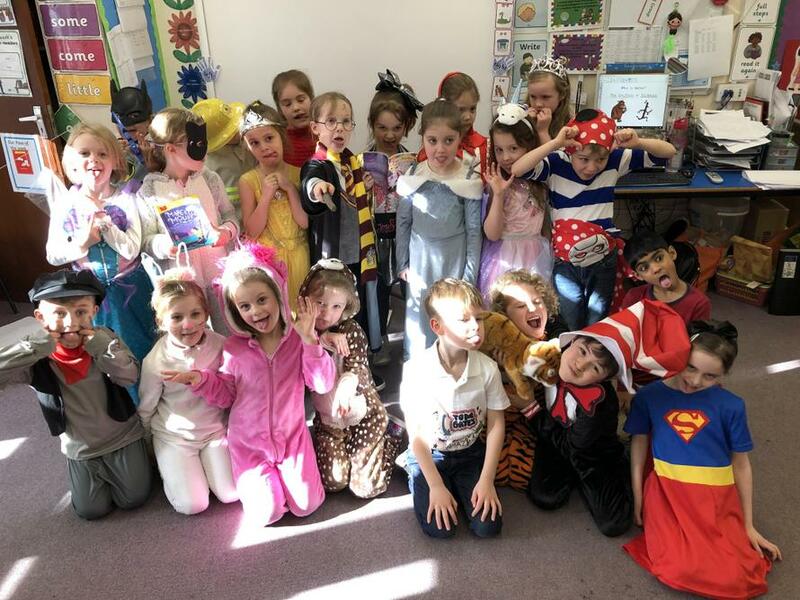 I am so proud of their hard work and it was an amazing show! 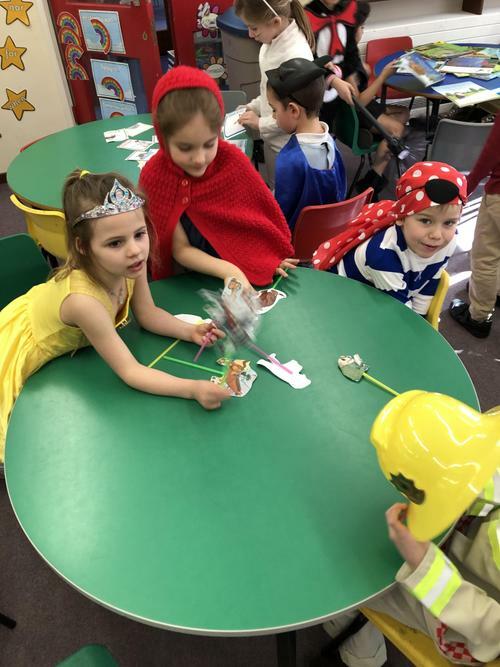 Thank you to all of the parents for helping bring costumes and for practising lines at home. 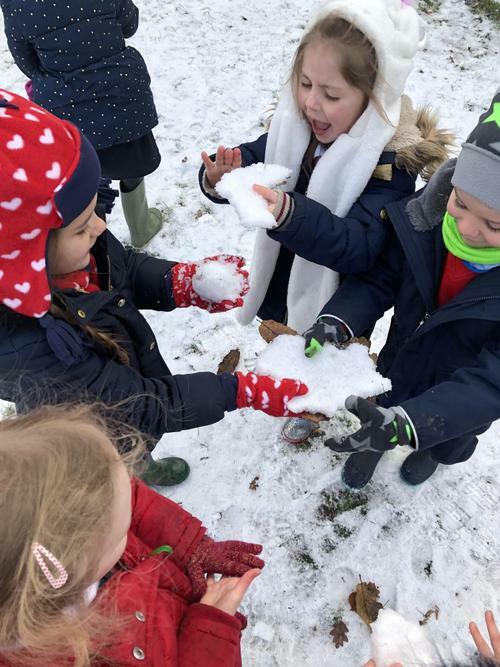 What a wonderful day we had! 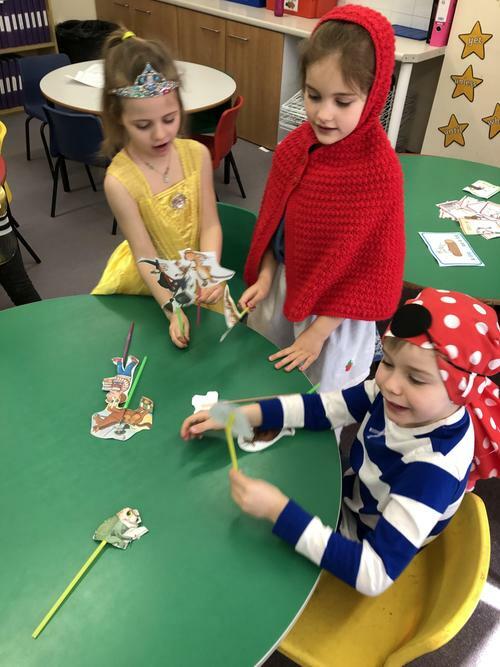 First, we created alien words for a new Gruffalo and made new stories using puppets of Julia Donaldson's famous characters. 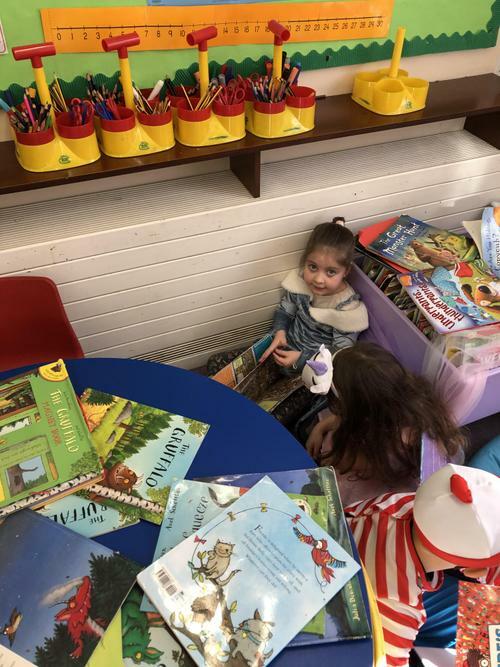 We read lots of books from home and our classroom. 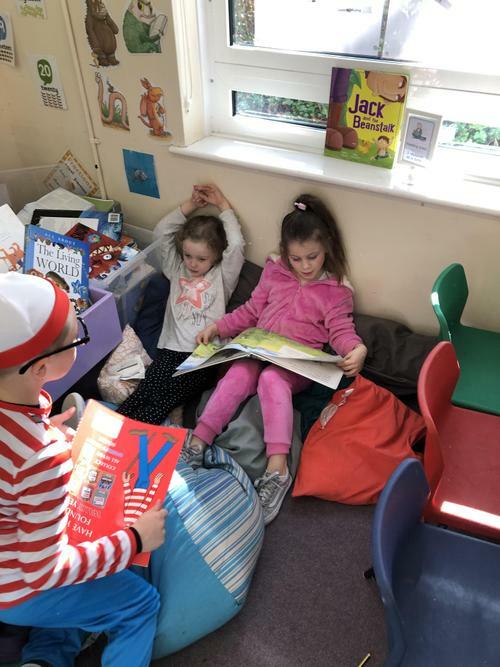 The Year 5 School Council members came and read "Little Miss Bossy" to us. 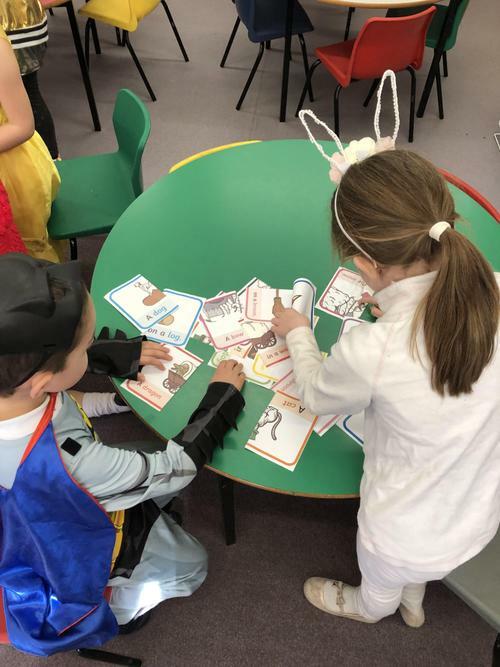 We designed and created new creatures for the Gruffalo story and we spent the afternoon working with our Year 3 reading buddy to do a library scavenger hunt! 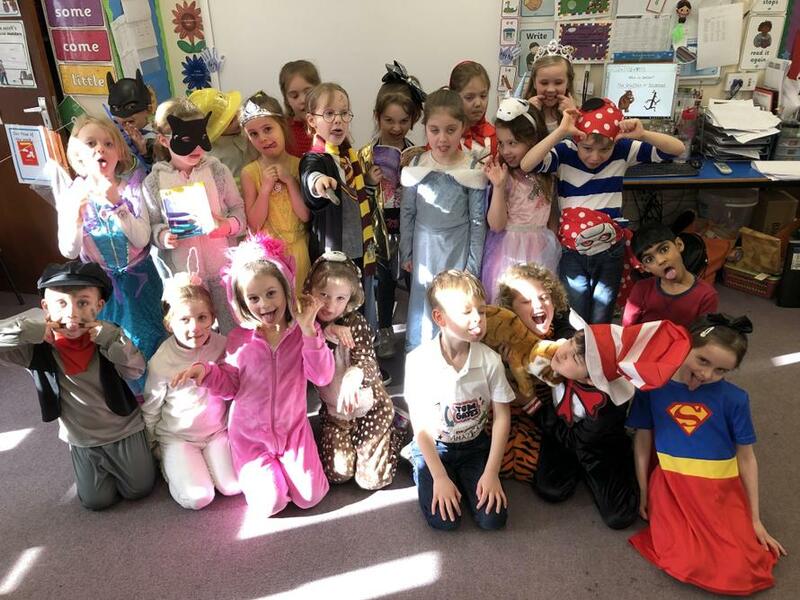 It was so much fun and everyone looked absolutely incredible! 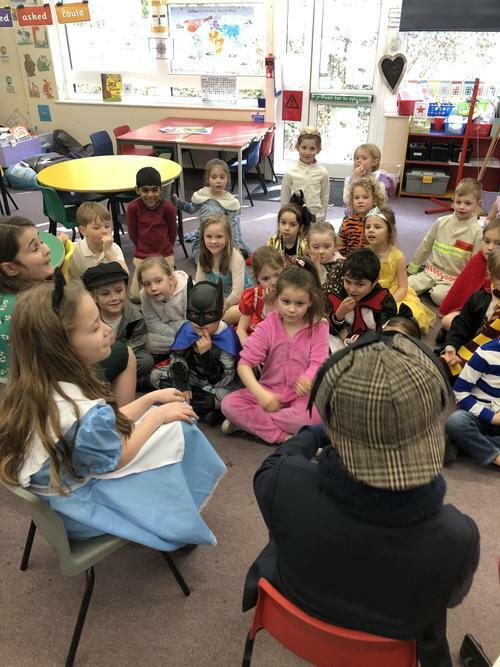 Welly Wednesday for World Book Day 2019! 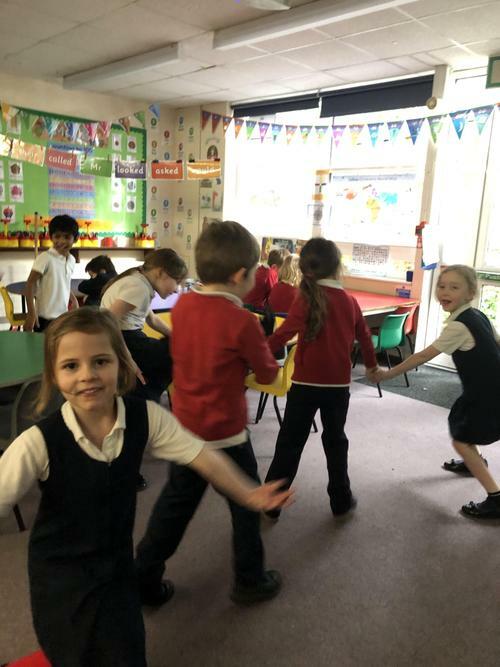 We made our own stickmen from Julia Donaldson's book "Stickman". 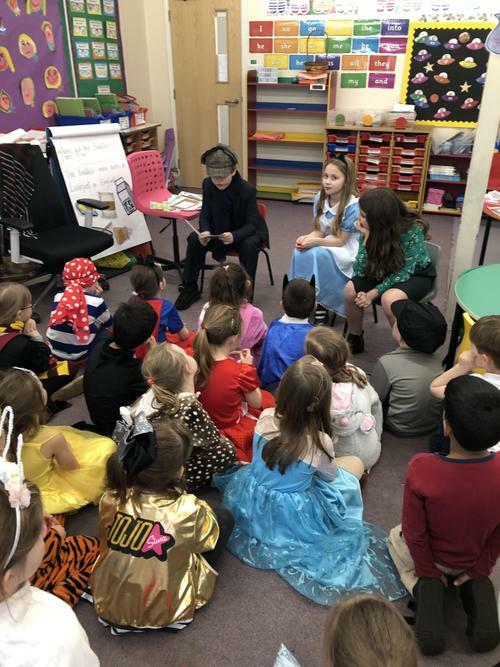 Thank you to everyone for the amazing facts and pictures that the children have brought it about the Beatles. 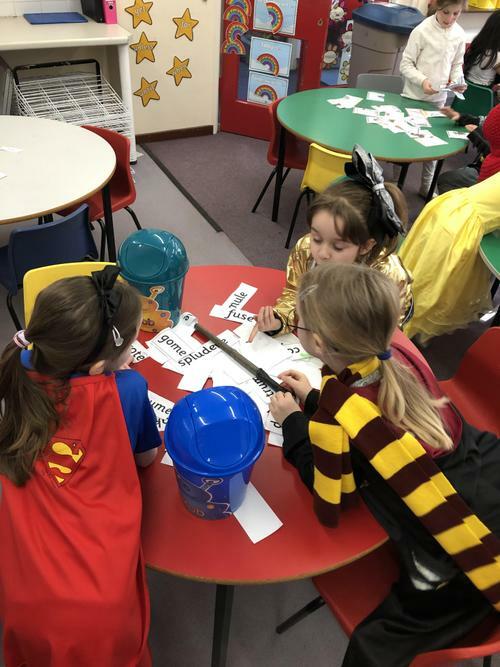 The children already have so much knowledge about the group. 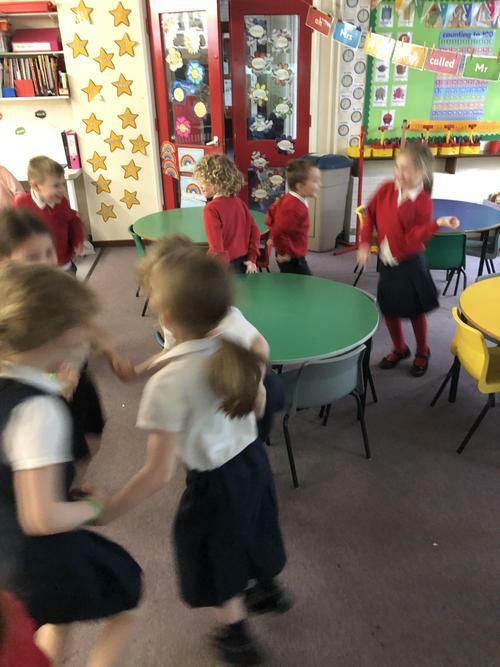 In our first lesson on the topic, we enjoyed listening to the songs and we had a mini disco at the end of the day. 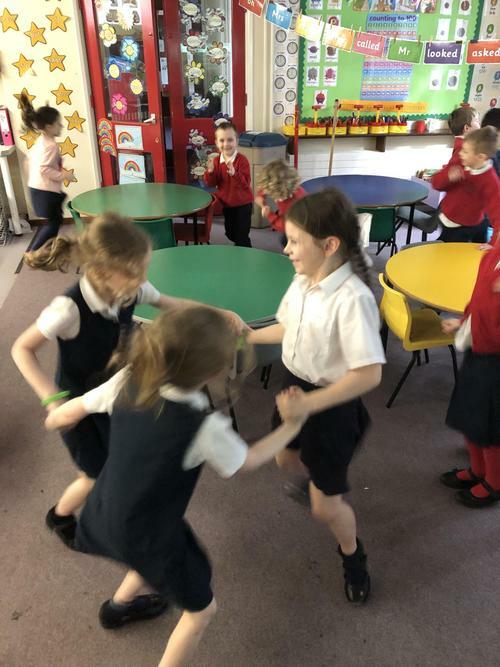 Some of our favourites were "Here Comes The Sun", "She Loves You" and "Yellow Submarine"! 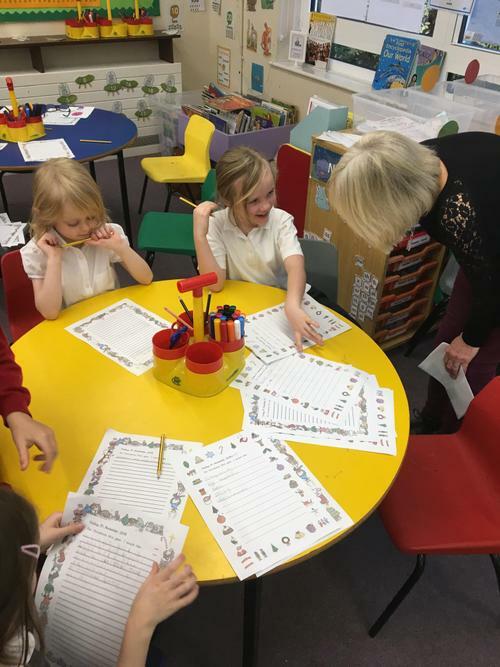 The children have designed and prepared a tasty fruit salad! 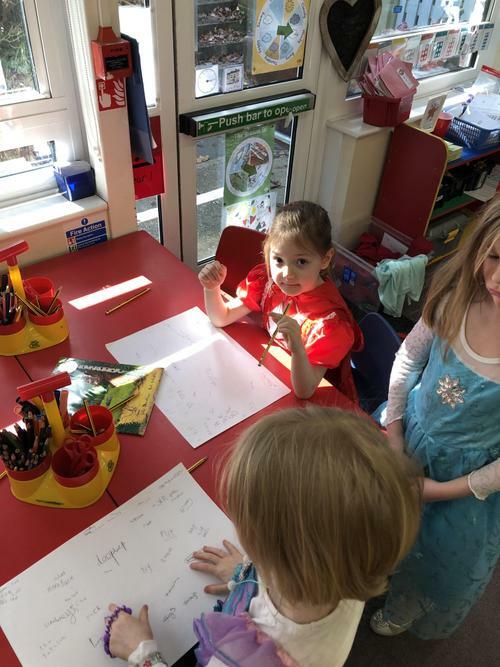 They chose a selection of fruit to use and they drew what they thought their fruit salad might look like. 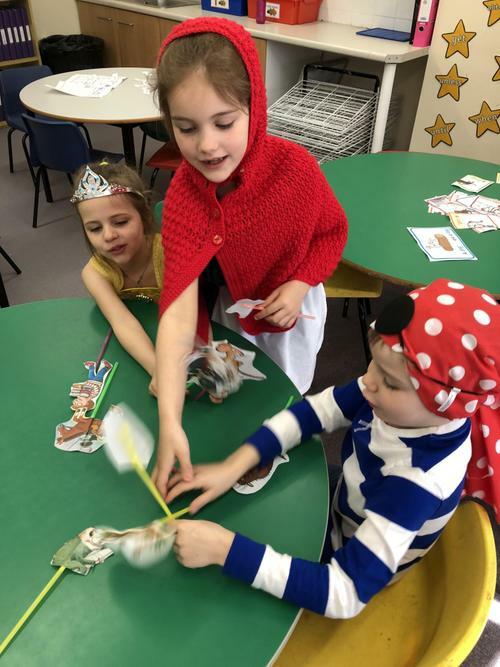 They helped cut and prepare the fruit and they assembled their salad. 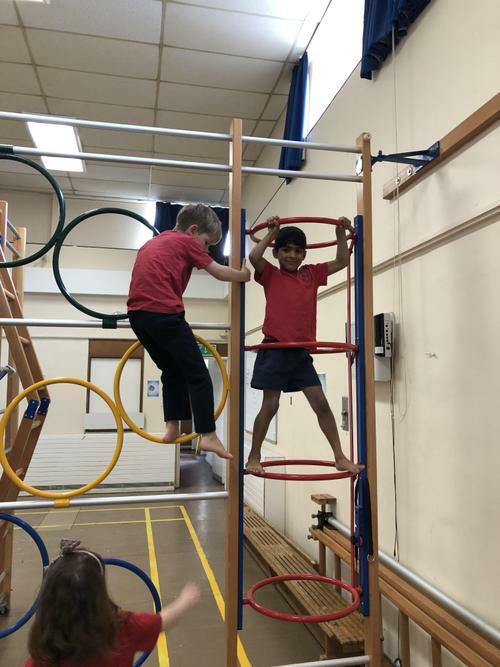 We got to enjoy our work during break time and we even tried some yummy watermelon together! 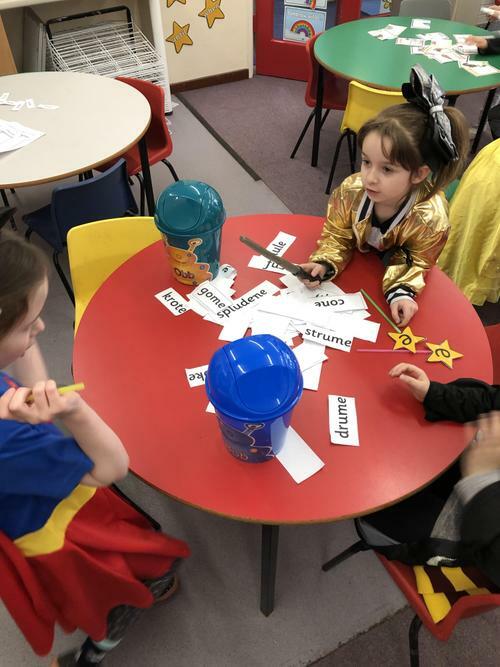 After lunch, they evaluated what they thought of their fruit salads. 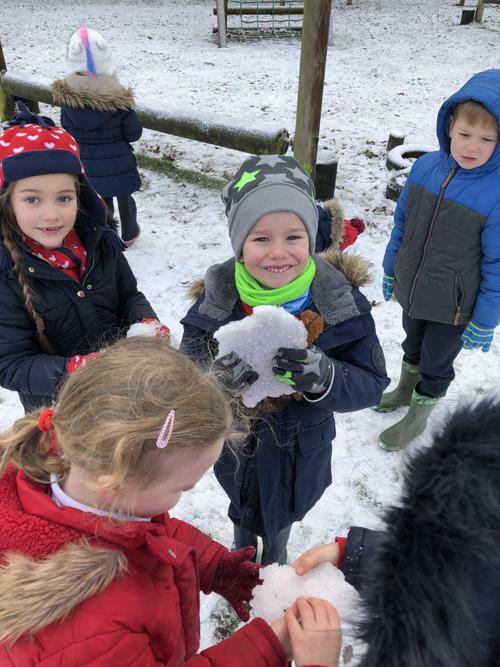 They chose their favourite fruits and what they would change if they made it again. 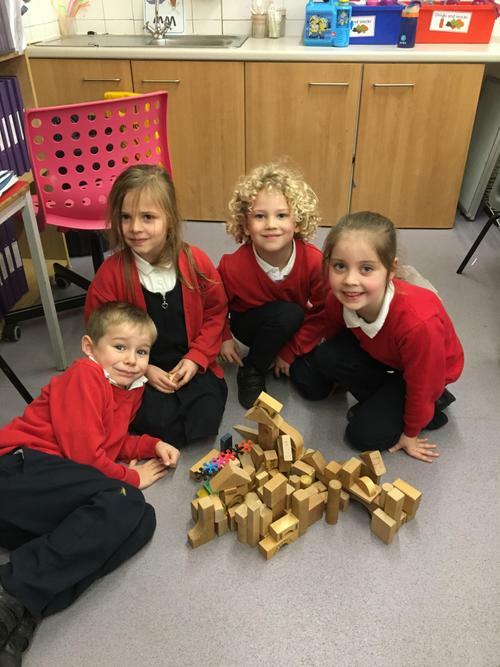 We've been practising counting in 2s, 5s and 10s. 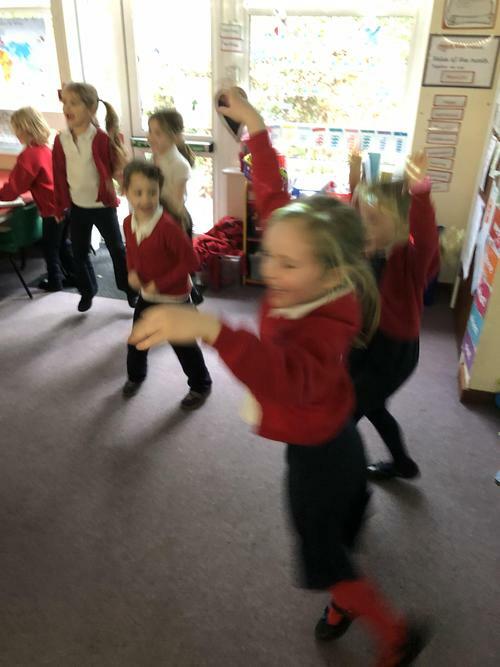 I have attached some links to songs that we have used to help us practise! 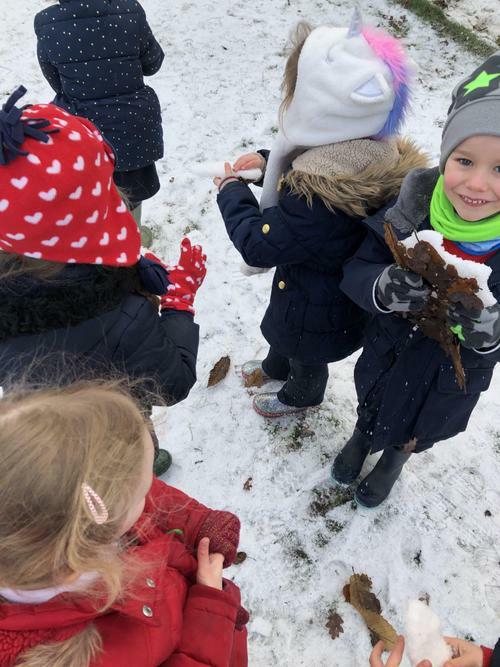 We had a great time playing with the snow today! 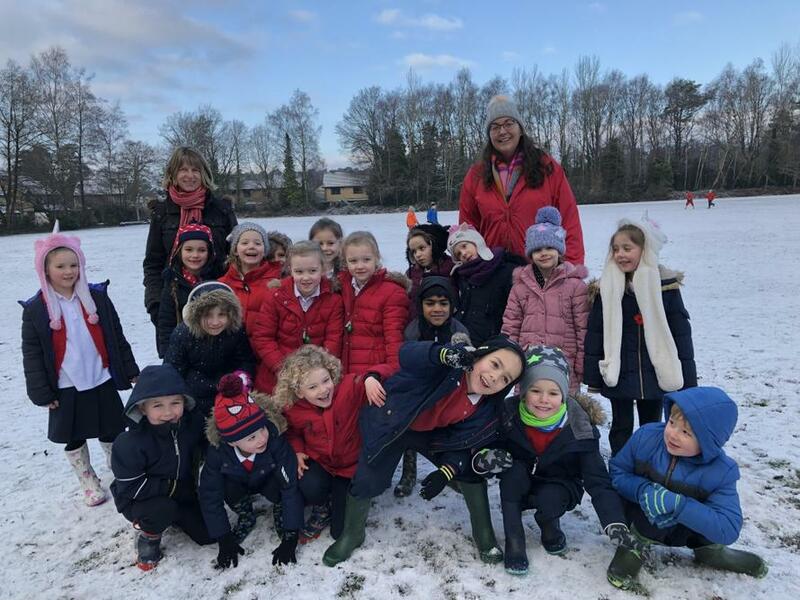 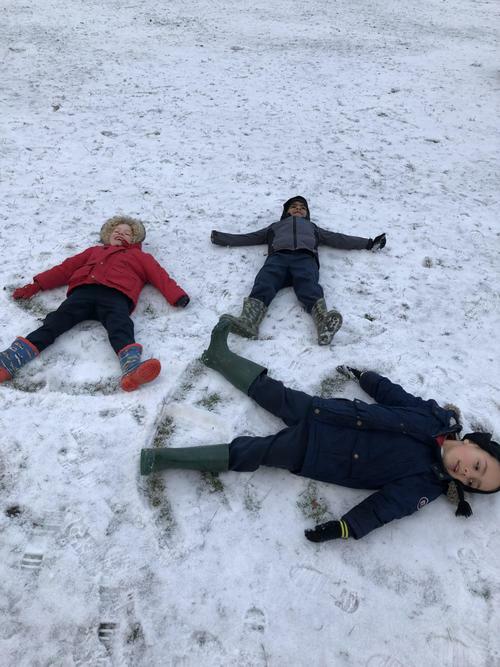 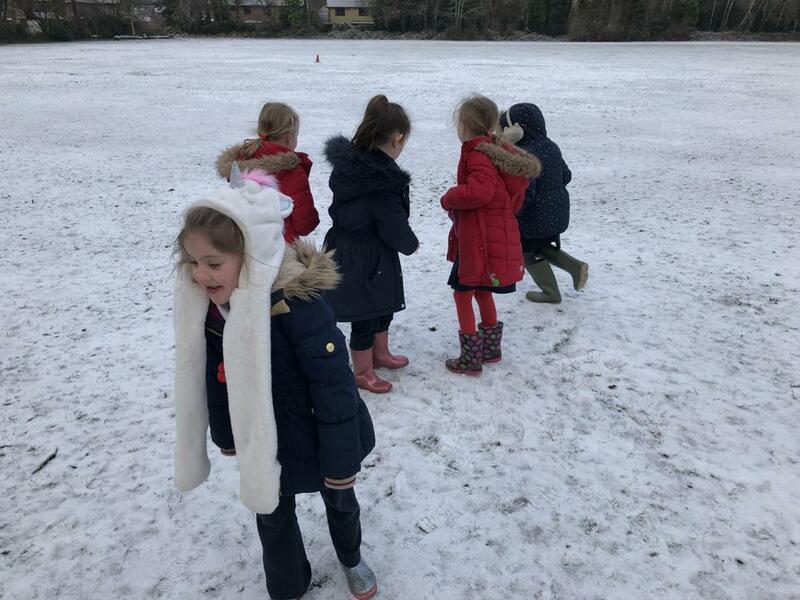 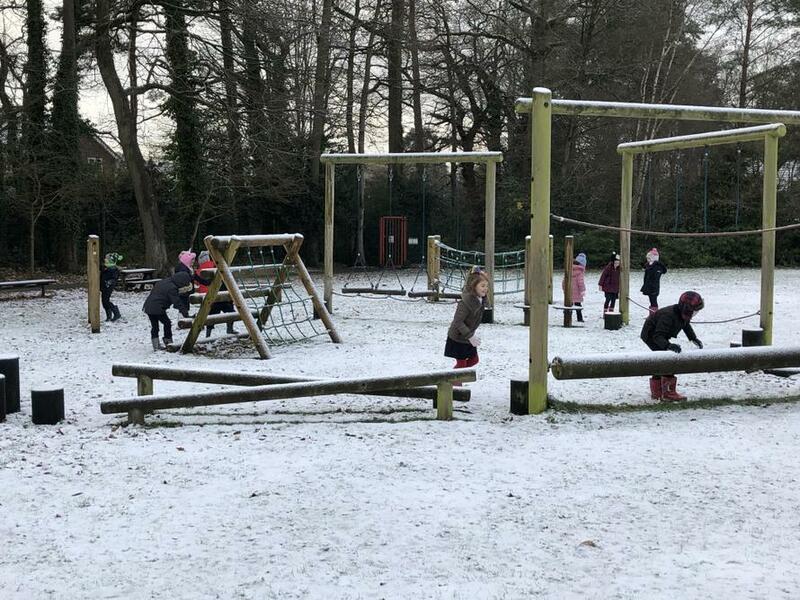 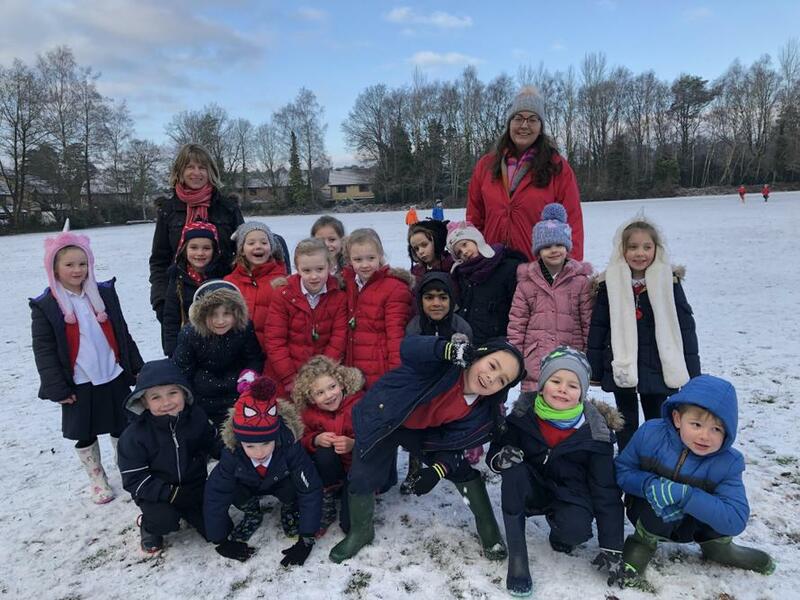 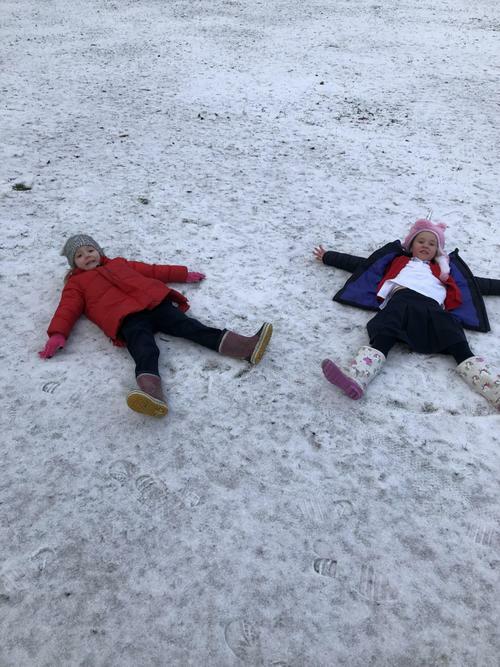 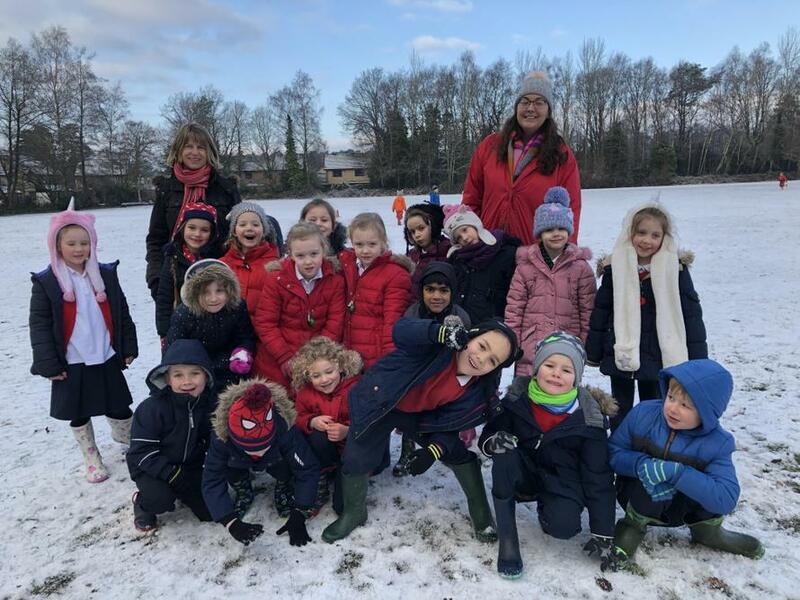 We made snow angels, made snowballs and found icicles. 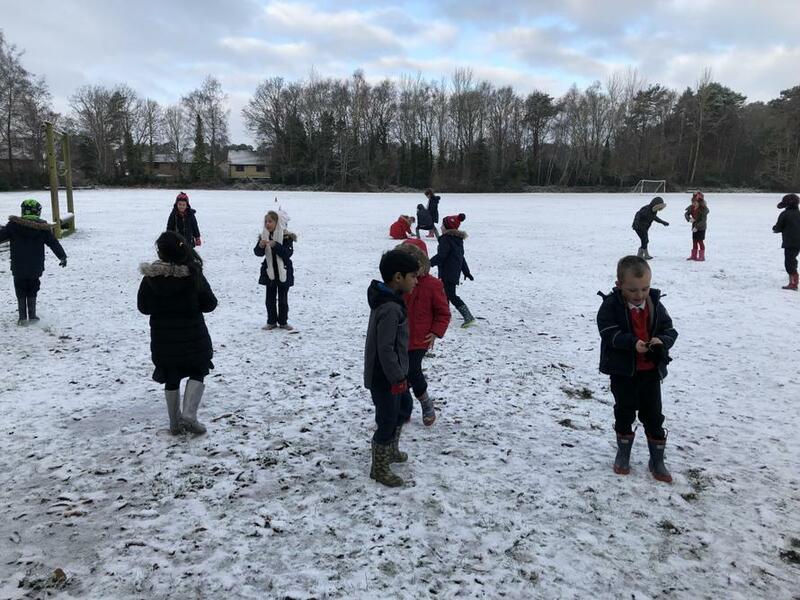 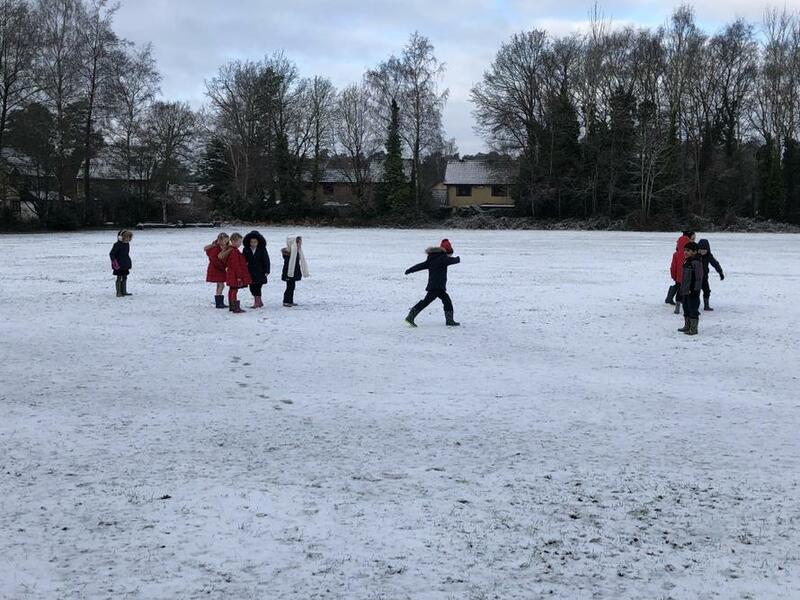 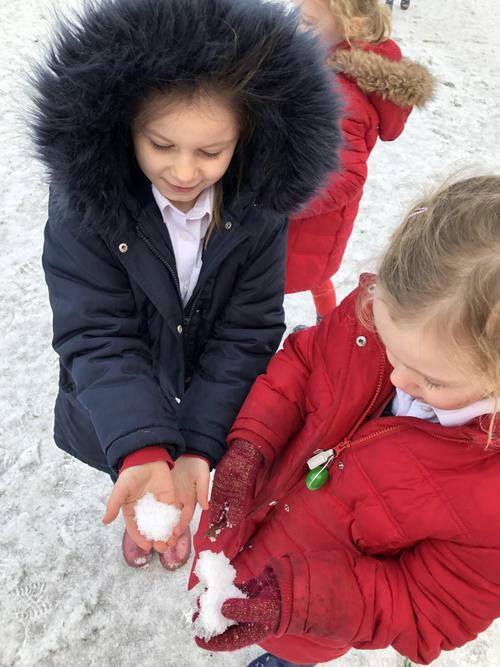 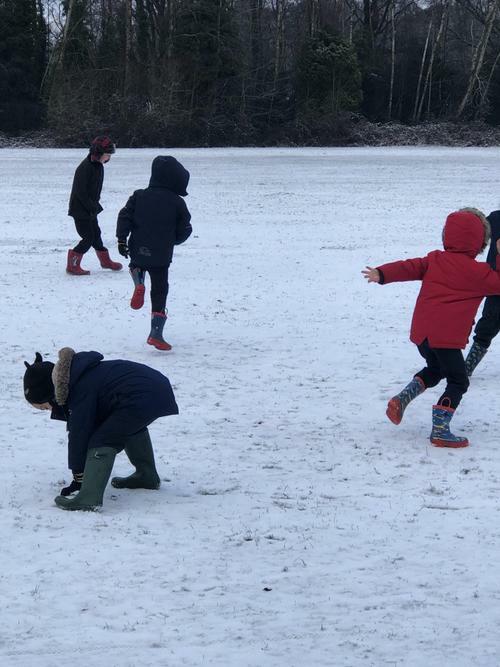 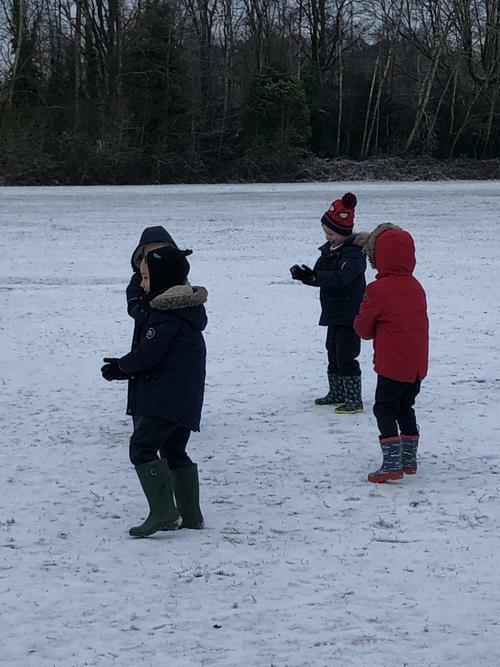 We also collected different sized snowballs to bring in to the classroom to investigate which would melt the quickest. 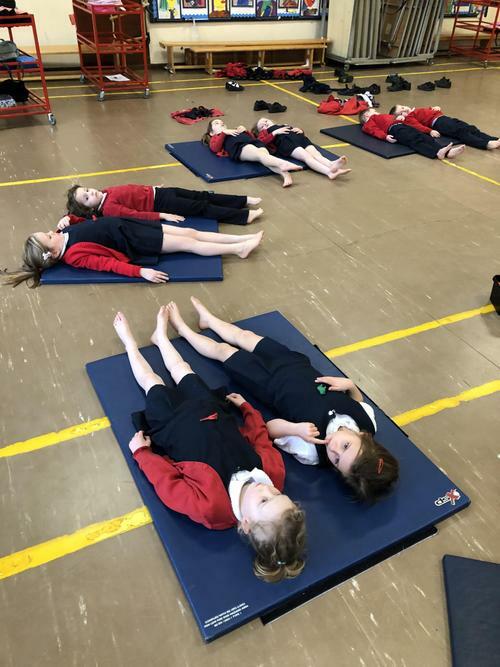 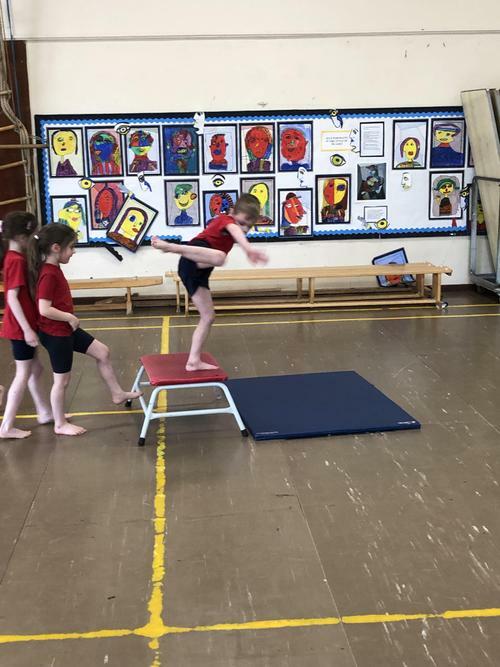 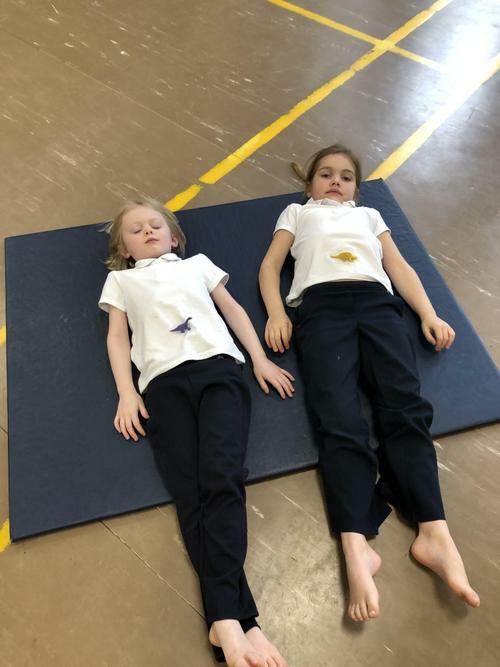 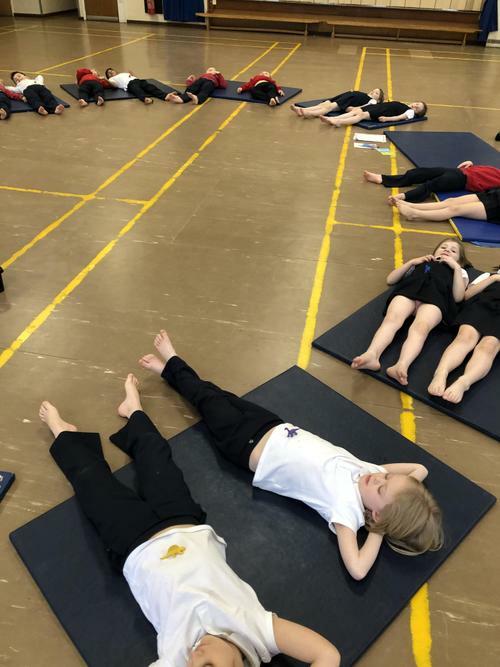 The children have been continuing to build on their yoga skills. 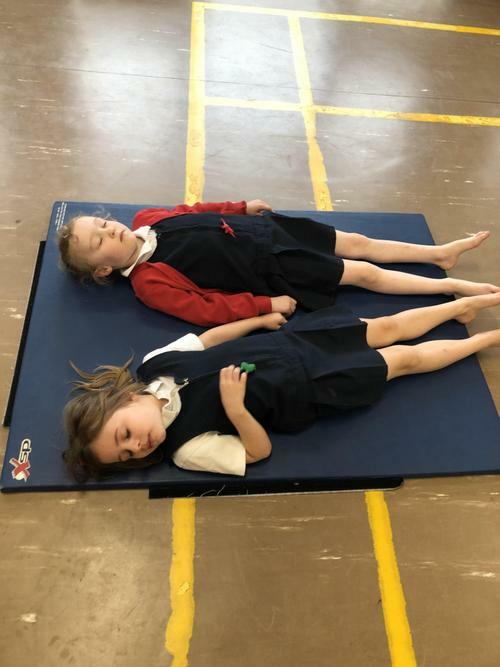 They are fantastic at remembering our poses like 'Sun pose', 'Cow pose' and 'Eagle pose'. 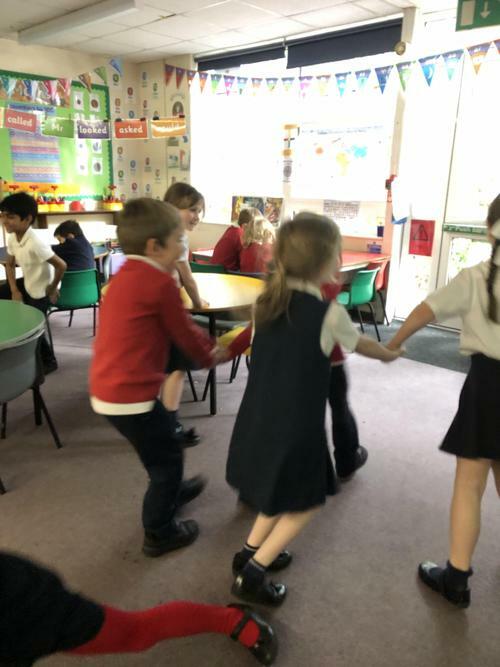 They have been putting them into sequences and playing musical statues with them. 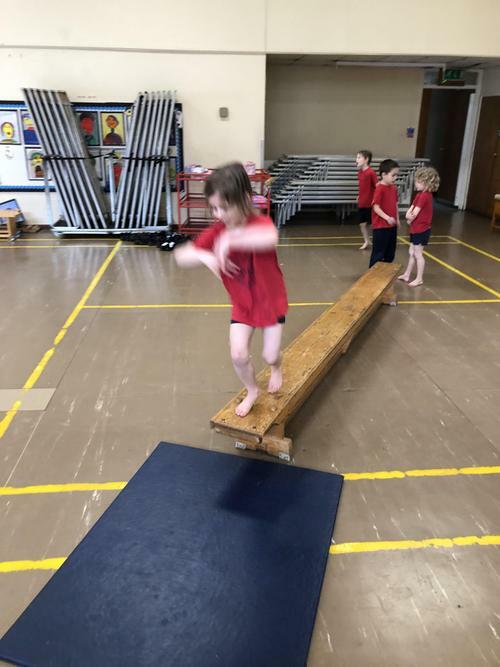 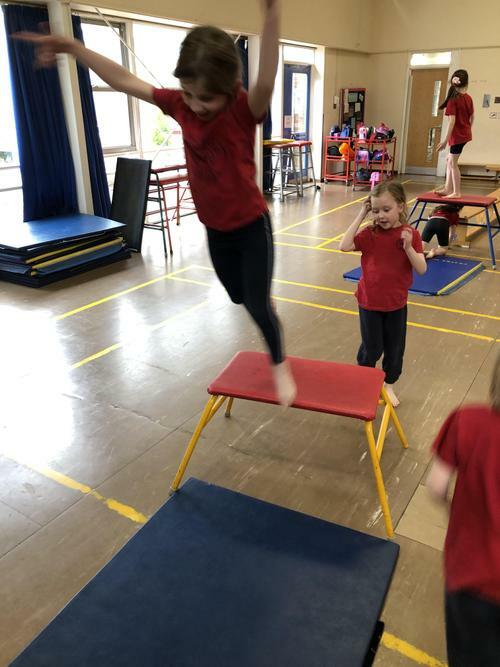 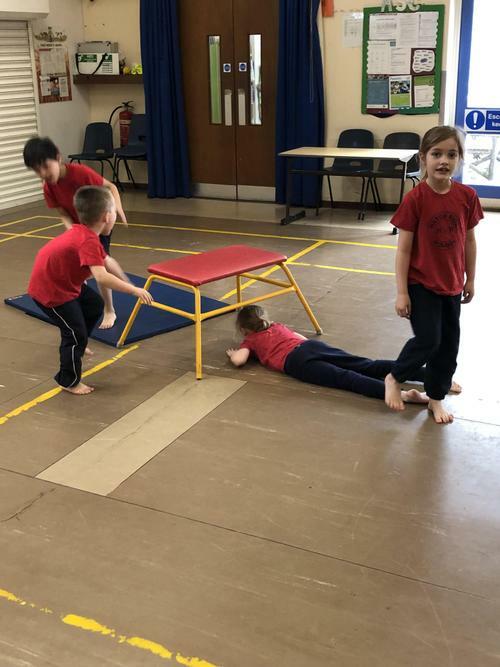 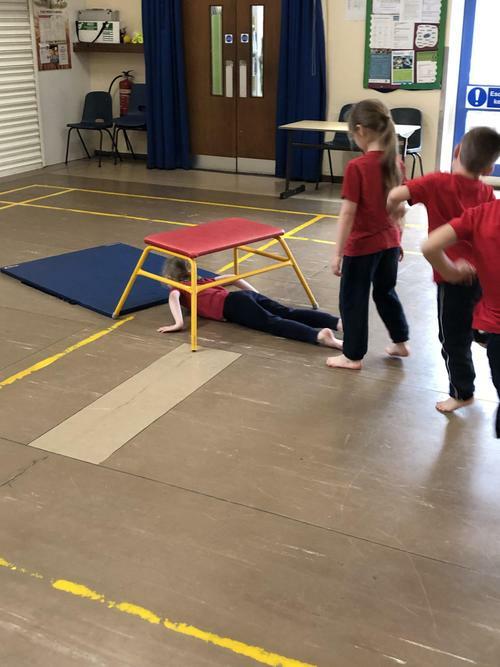 We have also played 'Trampoline belly' where the children put a little toy on their tummies and focus on moving it up and down as they are breathe in and out. 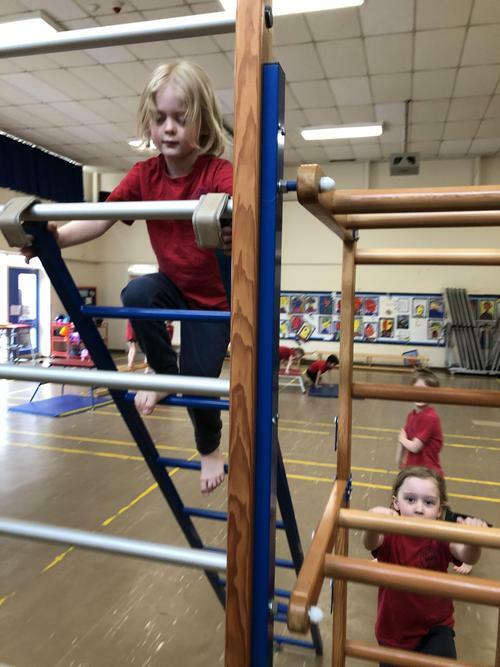 They were very focused so that their toys did not fall off! 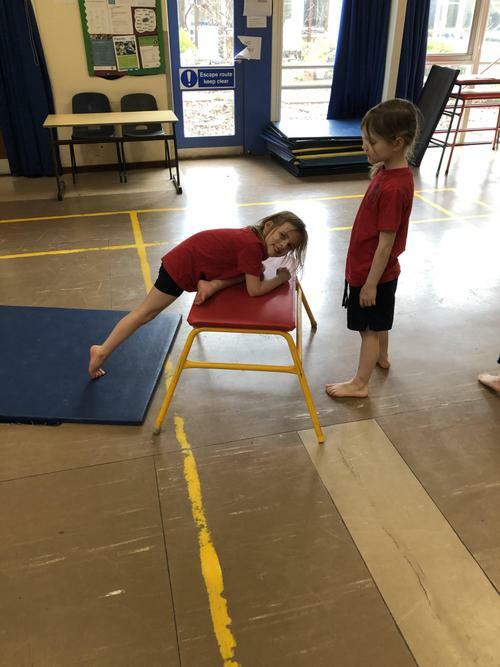 We have a pose of the week that we keep in the classroom. 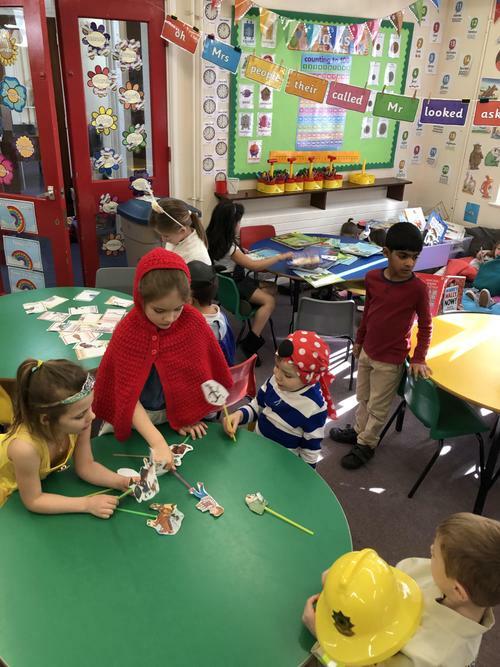 The children choose a selection and vote for their favourite. 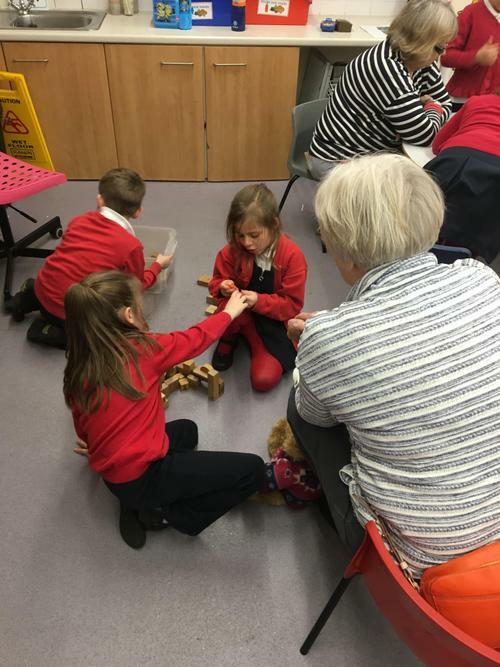 The children had a brilliant afternoon asking lots of questions to their grandparents about their childhood holidays, their favourite toys and the games they used to play when they were children. 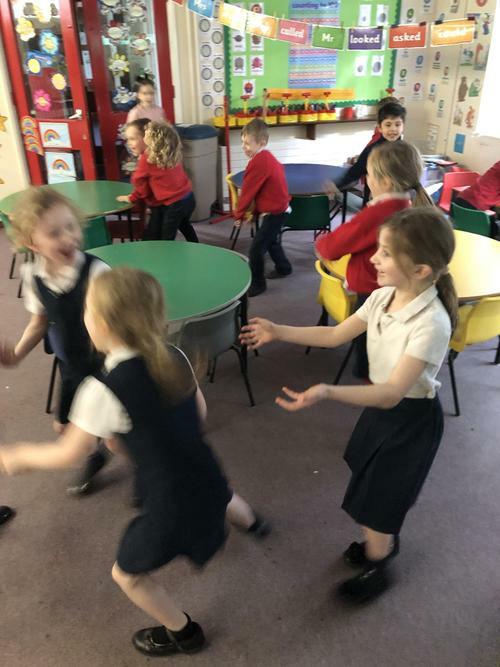 The children were very surprised to learn that their grandparents only had two TV channels to watch and they didn't have a family car to get around! 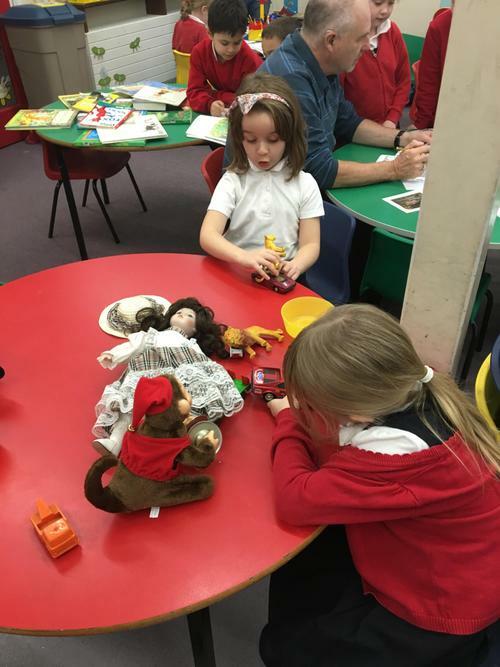 The children enjoyed playing with old toys and reading old books with their grandparents. 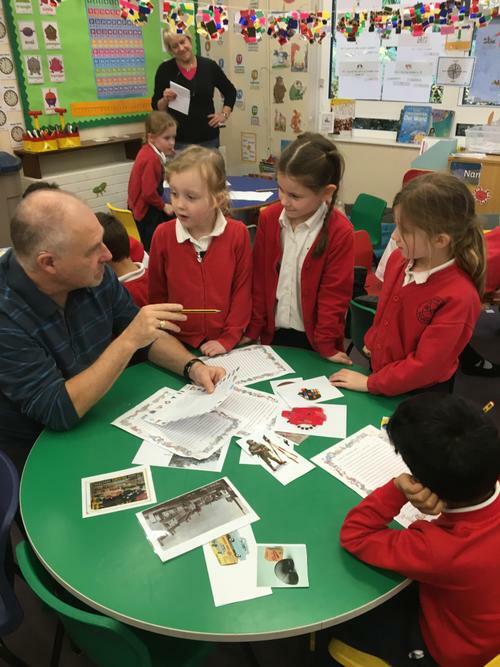 They also got to ask questions about old photos of toys and board games. 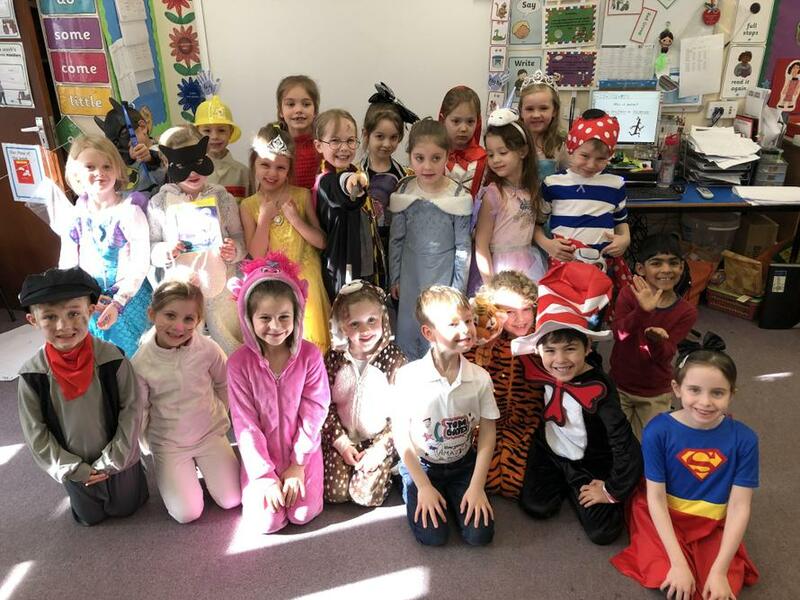 Thank you to all the grandparents who were able to attend and make it a very memorable afternoon. 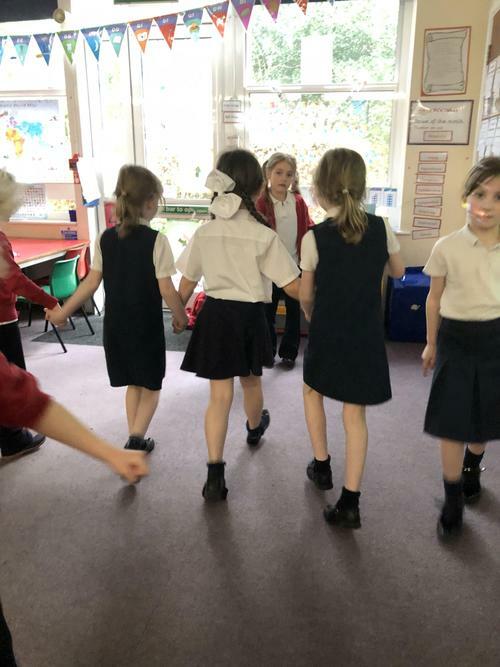 Funky Mummy game A great game to practise number bonds, addition and subtraction! 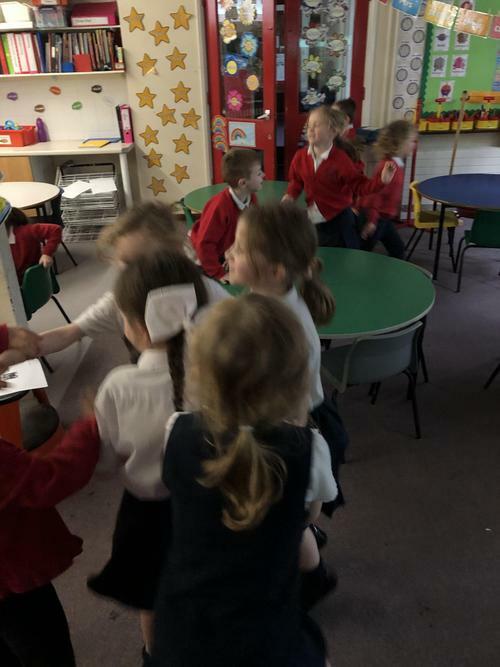 Helicopter Rescue game A brilliant game to help counting on and back from a number! 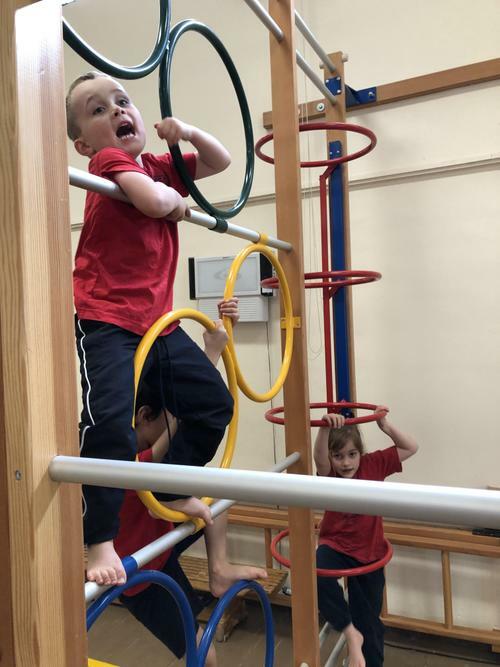 Pay for it! 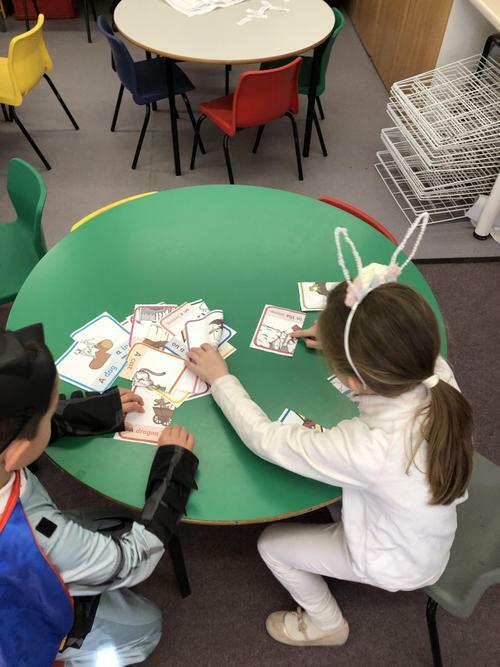 Practise making different combinations to pay for things at the supermarket! 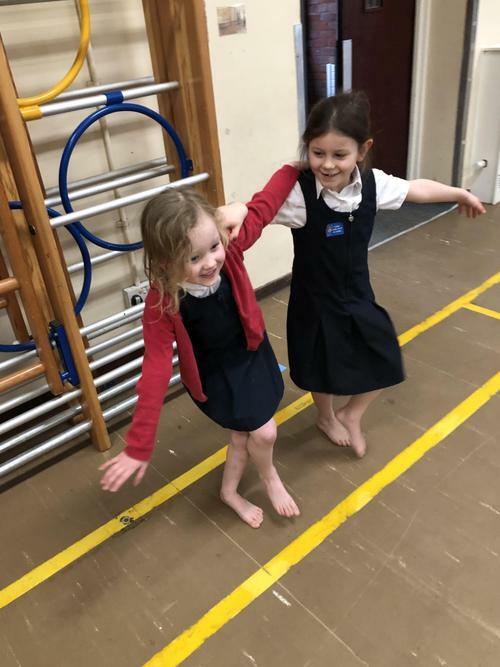 Measuring in cm game Lining up the ruler and working out the length!